Many believe Connemara has the most beautiful landscaping in Ireland. The terrain varies widely from lengthy sandy beaches to jagged peaks of the Twelve Bens mountain range. The people of the peninsula destination hold fast to the traditional customs and traditions of the country, which remains rich in folklore and music. The majority of the residents here speak Irish. The region is famous for a little horse known as the Connemara pony, the only breed native to the country. Having unbelievable stamina, the little horse commonly pulls equipment on farms. Possessing a gentle nature, the animal remains popular with children for riding. The hand knitted cream coloured Aran or Fisherman’s sweaters also originated here. Women crafted the sweaters with yarn from the wool of local sheep. Each family developed unique stitches and patterns. The patterns served as a means of identifying fishermen who lost their lives at sea. The women continue knitting the sweaters and sell them in local shops. Surrounded by tree-lined hills, Benedictine nuns guide visitors through the Victorian Kylemore Abbey that many call the most romantic castle in Ireland. The fireplaces, furniture, floors and panelling all date from the 1800s. The property also boasts a miniature Gothic cathedral and cemetery. A six-acre Victorian walled garden features flowers, herbs and vegetables. Part of the original garden proved too expensive to maintain and eventually became popular with children as a secret garden filled with overgrown plants, trees, streams and wooden bridges. The Abbey also features a craft shop displaying various products made by the nuns that include chocolates, pottery and natural skin care items. The O’Flaherty clan ruled the area during medieval times and remnants of their occupation includes the fortified Aughnanure Castle near Galway City. The six-story tower house contains a guard’s cubicle and a spiral staircase used for accessing the family apartments. The third floor boasts a massive fireplace and the top floor has mullioned windows and an oak timbered roof. Though much of the protective walls deteriorated long ago, a corner watchtower remains standing. 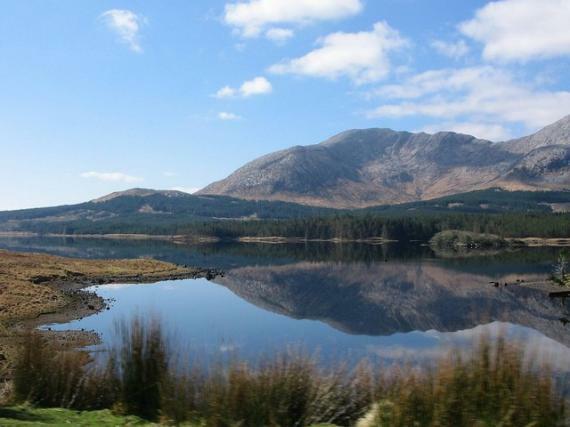 Connemara National Park covers more than 2,000 hectares and consists of bogs, grassland and mountains. The visitor centre at Letterfrack offers detailed information about the park along with freshly made snacks during the summer. Various scenic walking trails meander through the park and into the Twelve Bens. Besides the picturesque scenery, guests strolling through the area often encounter authentic earth forts, megalithic stones and tombs representing over 5,000 years of local history. Find information about selected Hotels, apartments and rooms at Connemara to choose the perfect place for your accommodation.